Cinco de Mayo Saturday, May 5th Margarita Specials all night! CRUISE NIGHT May – September 2nd Friday of the month 4:00-9:00 Lincoln Way is closed off from Cleveland Ave to the clock tower. 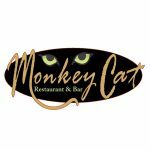 No Replies to "Holidays & Events at Monkey Cat"